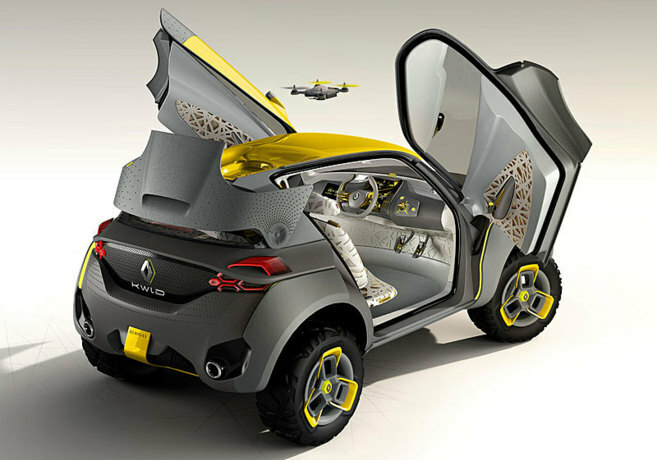 This is the Renault KWID, a car that carries a quadcopter drone for terrain reconnoissance tucked inside a little hangar on its rooftop. It may seem like a silly James Bondigh invention, but it actually makes a lot of sense in certain situations. 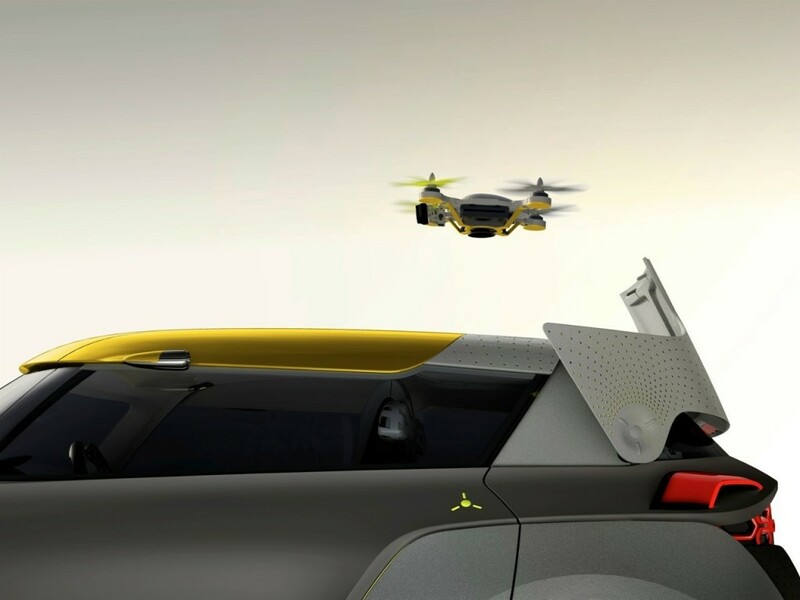 The three-seat prototype – presented in New Delhi Motor Show, in India – can deploy the smart drone at the touch of a button. Called Flying Companion, it has an onboard GPS and a camera for terrain, traffic, and obstacle reconnoissance. It has two modes: automatic and manual. In automatic mode the drone follows a path using GPS waypoints, as designated by the driver — like an aeroplane autopilot. The manual mode allows the driver or the co-pilot to control the quadcopter using a built-in tablet panel. This entry was posted in Uncategorized and tagged DRONE, Reconnoissance, renault, UAS, UAV, Unmanned aerial vehicle. Bookmark the permalink.